Docker is an open source platform that’s used to build, ship and run distributed services. 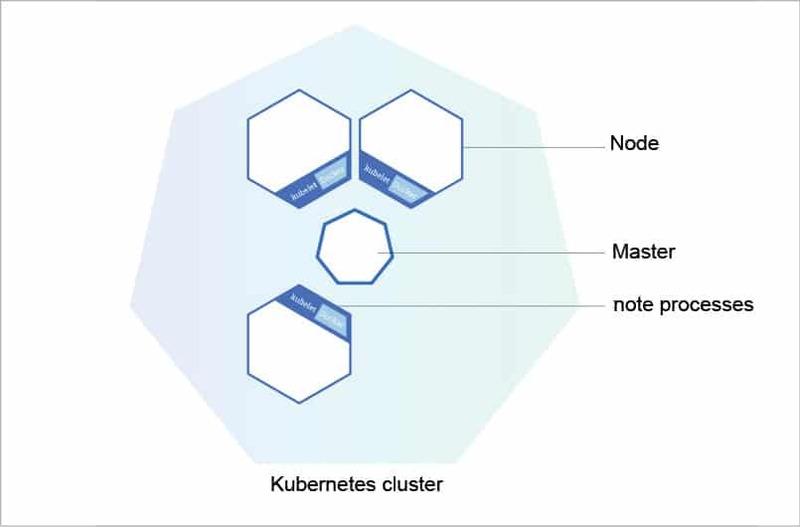 Kubernetes is an open source orchestration platform for automating deployment, scaling and the operations of application containers across clusters of hosts. Microservices structure an application into several modular services. Here’s a quick look at why these are so useful today. Only the required libraries get installed in their respective containers. Custom containers can be built easily. During the initial days, LXC (Linux container) was very popular and was the foundation stone for the development of various other containers. Name space and control groups (process level isolation). A brief history of containers is outlined in Table 1. Containers are more lightweight compared to virtual machines (VMs). The container platform is used in a concise way to build Docker (which is one of the container standards; it is actually a static library and is a daemon running inside the Linux OS). Containers make our applications portable. Containers can be easily shipped, built and deployed. Containers are an encapsulation of an application with its dependencies. They look like lightweight VMs but that is not the case. A container holds an isolated instance of an operating system, which is used to run various other applications. The architecture diagram of Docker-container in Figure 1 shows how each of the individual components are interconnected. 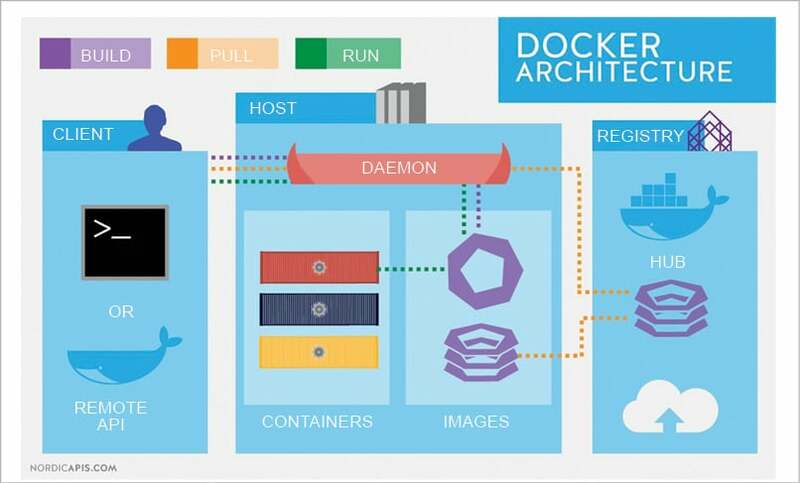 The Docker daemon (generally referred to as dockerd) listens for Docker API requests and manages Docker objects such as images, containers, networks and volumes. 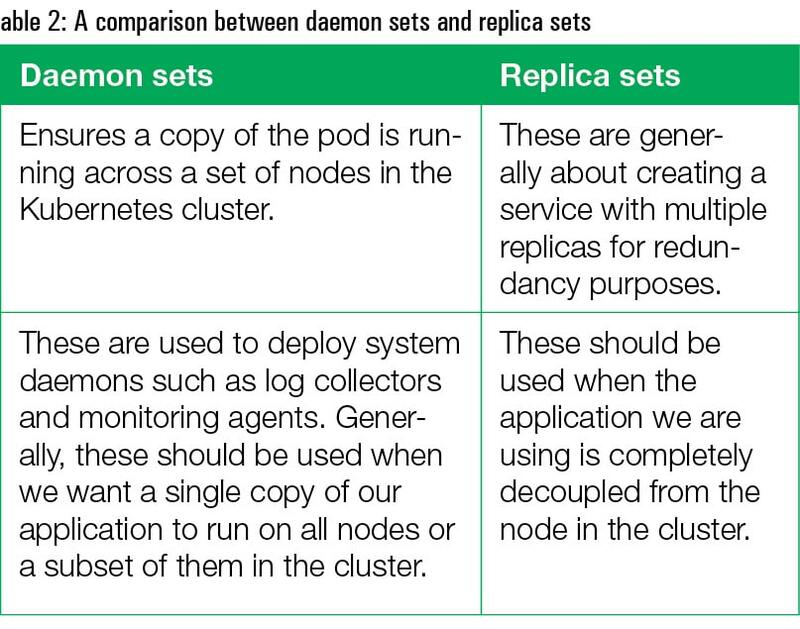 A daemon can also communicate with other daemons to manage Docker services. The Docker client (also called ‘docker’), with which many Docker users interact with Docker, can communicate with more than one daemon. A Docker registry stores Docker images. Docker Hub and Docker Cloud are public registries that anybody can use, and Docker is configured to look for images on Docker Hub, by default. Note: When we use the docker pull or docker run commands, the required images are pulled from the configured registry. When we use the docker push command, the image is pushed to our configured registry. When we use Docker, we are creating and using images, containers, networks, volumes, plugins and other various such objects. These are called Docker objects. One single application is broken down into a network of processes. All these services communicate using REST or MQ. The scaling up of applications is a lot easier. There is very good isolation of these services, as when one fails, others can continue. What is Kubernetes and why should one use it? 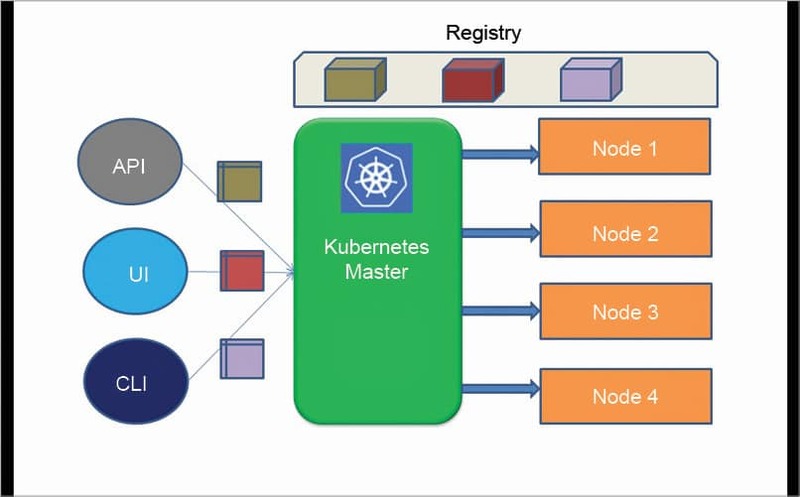 Kubernetes provides the software necessary to build and deploy reliable and scalable distributed systems. Velocity—a number of things can be shipped quickly, while also staying available. Scaling—favours scaling with decoupled architecture through load balancers and scaling with consistency. Abstract—applications built and deployed on top of Kubernetes can be ported across different environments. Developers are separated from specified machines for providing abstraction. This reduces the overall machines required, thus reducing the cost of CPUs and RAM. Efficiency—the developer’s test environment can be cheaply and quickly created via Kubernetes clusters and this can be shared as well, thus reducing the cost of development. Kubernetes continuously takes action to ensure that the current state matches the desired state. Pods: These are groups of containers that can group together other container images developed by different teams into a single deployable unit. NameSpaces: This provides isolation and complete access control for each microservice, to control the degree to which other services interact with it. Kubernetes services: Provides load balancing, discovery isolation and naming of microservices. Ingress: These are objects that provide an easy-to-use front-end (externalised API surface area). As described earlier, Kubernetes is a platform for creating, deploying and managing distributed applications. Most of these applications take an input, process the data and provide the results as output. Most of these applications contain language runtime, libraries (libc and libssl) and source code. A container image is a binary package that encapsulates all of the files necessary to run an application inside an OS container. The Open Container Image (OCI) is the standard image format that’s most widely used. These images can be run using the docker run –d –name command, using the CLI. The default container runtime used by Kubernetes is Docker, as the latter provides an API for creating application containers on both Linux and Windows based operating systems. kuard is a database and maps to Port 8080, and can aso be explored using a Web interface. Kubernetes can be installed on three major cloud providers like that of Amazon’s AWS, Microsoft’s Azure and Google’s Cloud Platform (GCP). Each cloud provider allows its own container service platforms. Kubernetes also can be installed using Minikube, locally. Minikube is a simulation of the Kubernetes cluster, but the main function of this is for experimentation, local development or for learning purposes. Kubernetes can also be run on IoT platforms like Raspberry Pi for IoT applications and for low-cost projects. Most of the pod manifests are written using YAML or JSON scripts. But YAML is preferred as it is in human readable format. There are various command options using kubectl to run or list pods. Labels are key-value pairs that can be attached to Kubernetes objects such as pods and replica-sets. These labels help in finding the required information about Kubernetes objects, metadata for objects and for the grouping of objects. Annotations provide a place to store additional metadata for Kubernetes objects with assisting tools and libraries. Labels and annotations go hand-in-hand; however, annotations are used to provide extra information about where and how an object came from and what its policies are. Both Kubernetes and Docker Swarm are popular and used as container orchestration platforms. Docker also started supporting and shipping Kubernetes from its CE (community edition) and EE (enterprise edition) releases. Docker Swarm is the native clustering for Docker. Originally, it did not provide much by way of container automation, but with the latest update to Docker Engine 1.12, container orchestration is now built into its core with first-party support. It takes some effort to get Kubernetes installed and running, as compared to the faster and easier Docker Swarm installation. Both have good scalability and high availability features built into them. Hence, one has to choose the right one based on the need of the hour. For more details, do refer to https://www.upcloud.com/blog/docker-swarm-vs-kubernetes/.